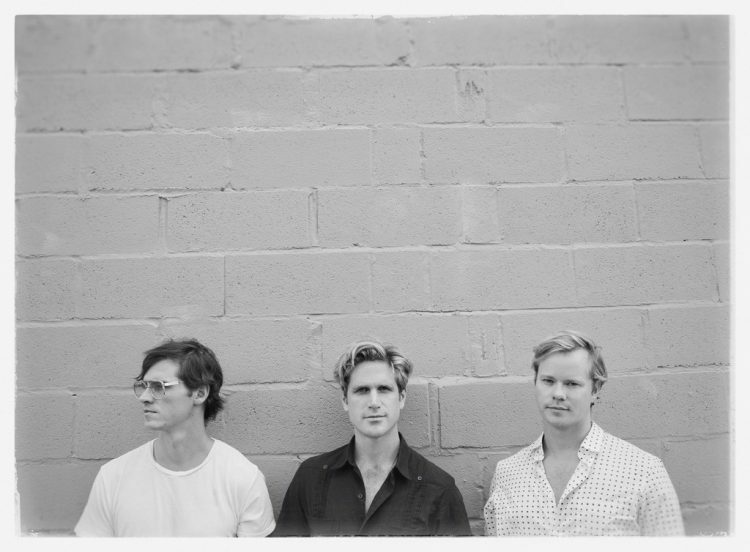 We like to keep tabs on the artists we interview here at New England Sounds and in early 2016 one of our first interviews was with Brooklyn based electro-rock band VHS Collection who just released their new single, “Dreaming.” The nostalgic sounding new track, was written during one of the band’s lock-in sessions in a rented AirBNB in Los Angeles where they set up a home studio for three weeks. “The song does feel in some ways an extension of Retrofuturism” VHS Collection says about the track. VHS Collection’s debut album, Retrofuturism provided listeners with a more crystallizing look at their direction, lyrically touching on themes including isolation, love, escapism, and patriotic skepticism and reflecting the production wizardry of Chris Zane and Tony Hoffer. Since forming in 2015, VHS Collection – comprised of longtime friends Conor Cook, James Bohannon, and Nils Vanderlip – has garnered over 65 million streams globally with key placement on US and Global Viral Charts. VHS Collection will be kicking off their headlining Retrofuturism Tour on February 12 at The High Watt in Nashville, TN and will wrap on visit New England on March 21st when the band perform at Sonia in Cambridge, MA. “We’re excited to be releasing this one right before our tour starts. We’ll be playing in 24 cities on this tour and will be playing ‘Dreaming’ as part of the set,” said the band. VHS Collection will also be performing at Firefly Music Festival on June 23.